A highbush blueberry with dainty, waxy, bell-shaped, white flowers in May. 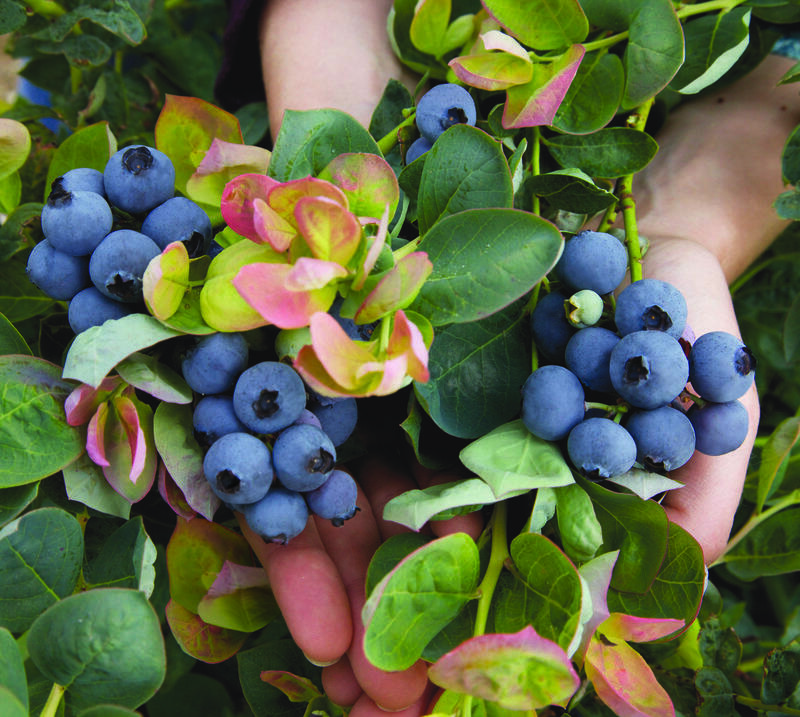 Flowers are followed by light blue blueberries (1/2" in size) which ripen in late mid-season. Dark green leaves turn attractive shades of red in fall.